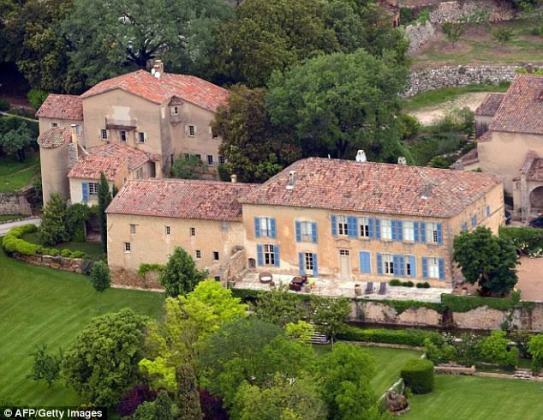 Brad Pitt and Angelina Jolie are putting their Chateau Miraval estate in France & its prized vineyards believed to blossom with rich rose wine juice up for sale. The 1,200-acre property was purchased by the now estranged couple for an estimated sum of $60 million back in 2012. The chateau which they had previously leased, starting in 2008, is surrounded by forests, olive groves and a lake and had served as the venue for their 2014 wedding and also gave them a hideaway from the cameras and children when needed. According to reports, the exquisite estate has been valued and is going on the market any day now. Meanwhile, the duo has agreed rid themselves of all jointly-owned property as part of their divorce settlement, reports say. The pair and their lawyers are working behind closed doors to come up with an agreement with regards to a financial settlement and the custody of their six children - Maddox, Pax, Zahara, Shiloh, and twins Vivienne and Knox. Brad was due to file a response to Angelina's divorce petition on Wednesday, but reportedly turned the petition down in order to avoid a legal battle with the actress, something he believes would cause great psychological damage to their kids, reports added.